The truck is completely stock, except for all the modified parts. Over 350 off-roaders will depart Las Vegas Friday morning for the 550-mile Vegas to Reno race, spanning varying degrees of Nevada terrain that includes everything from sand and dry lake beds to 8,000-foot mountain passes. 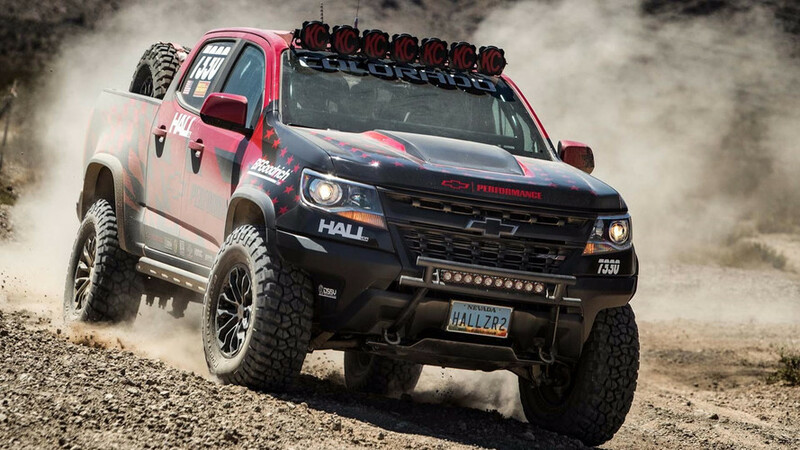 Among the vehicles will be a 2017 Chevrolet Colorado ZR2 driven by Chad Hall from Hall Racing, competing in the stock production class for mid-size trucks and sport-utility vehicles. 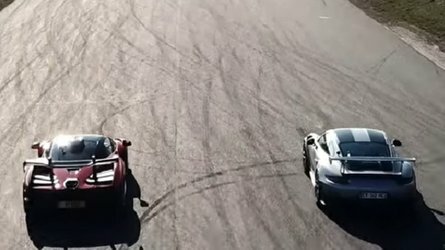 Of course, stock means something a bit different in the racing world, because safety is first and foremost. 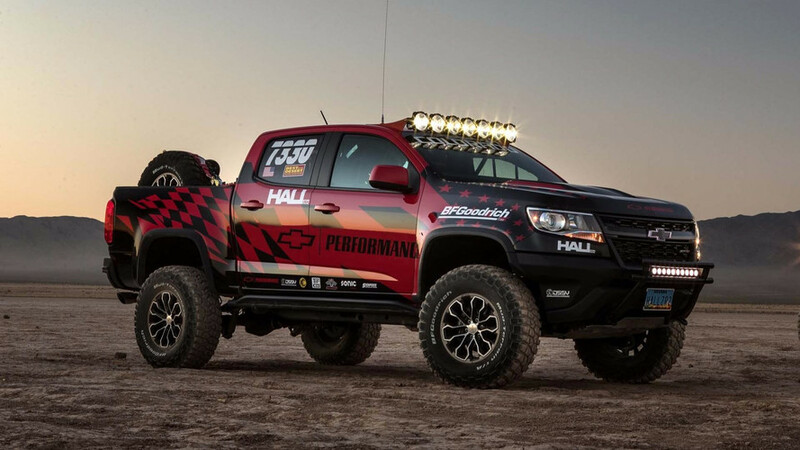 Hall’s ZR2 is fitted with a roll cage, racing seats, and safety harnesses, and it also runs a bank of powerful off-road lights for proper visibility at night. 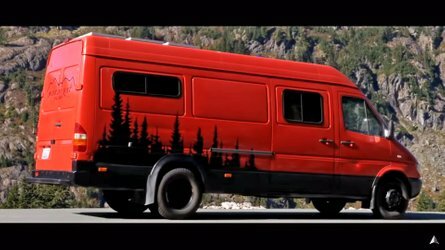 The truck also incorporates a two-way radio, a GPS system, and because it’s tough to find a gas station in the Nevada desert, there’s a 44-gallon racing fuel tank. Chevrolet says the truck runs the stock 3.6-liter V6 engine, which is good for a not-insignificant 308 horsepower. 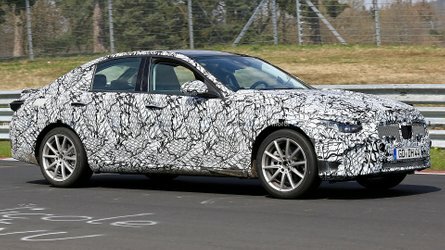 It also runs the stock eight-speed automatic, sending power to all four wheels supported by a modified version of the truck’s Multimatic DSSV dampers. We don't think that necessarily falls under mandated safety gear upgrades. 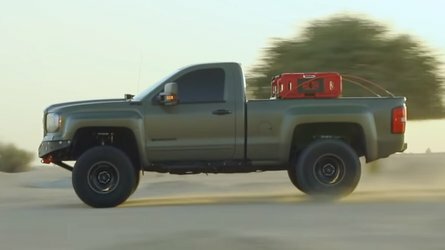 Beyond that, Chevrolet is also using the truck as a testbed for performance parts that could be available in the future for ZR2 and standard Colorado owners. As to exactly what those parts are, Chevrolet is mum except to say they are components “intended to take the already-exceptional off-road capability of the Colorado to the next level.” So yeah, we won’t say this “stock” truck is a ringer, but it's not something you can go down to your local Chevy dealer and by, either. 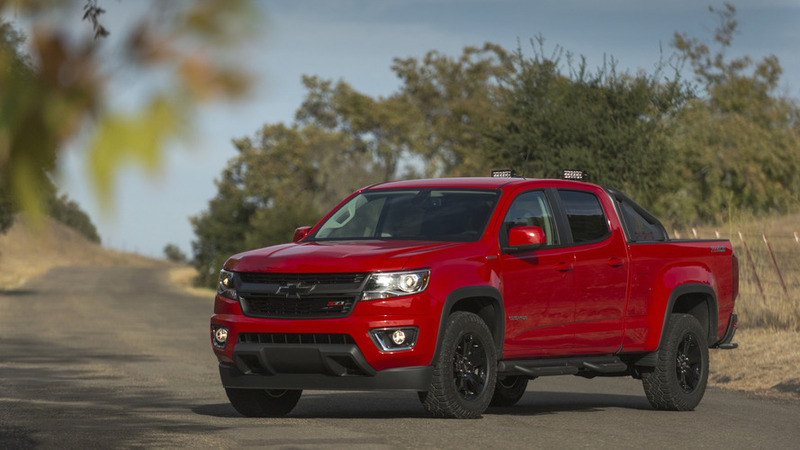 Whatever those upgraded components are, we know from personal experience that the Colorado ZR2 is already a capable machine in true stock trim. 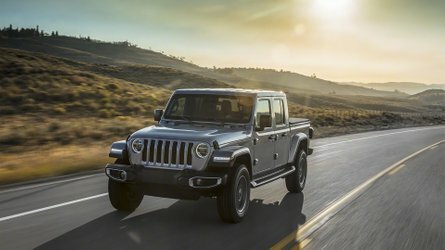 Having put the off-roader through its paces back in May, we found the ride to be surprisingly compliant on-road, while offering exceptional poise on everything from muddy trails to full-on rock climbing. 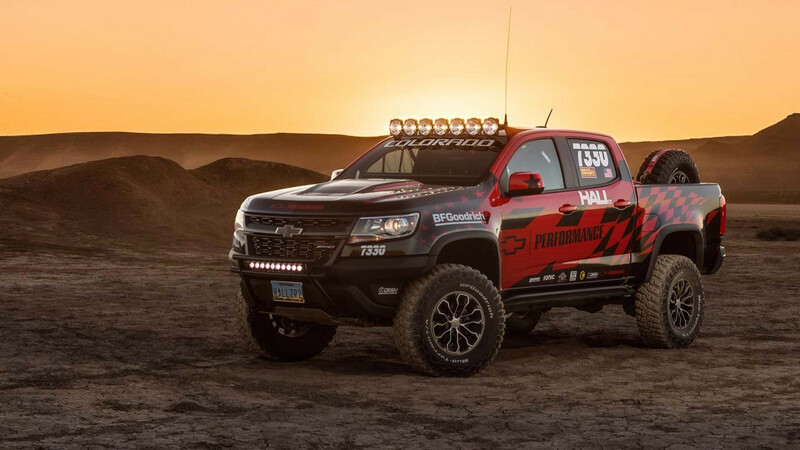 Hall Racing has a rich history in the world of off-road racing, so if the ZR2 passes this test – albeit in not-quite stock format – Chevrolet will have certainly earned some bragging rights.